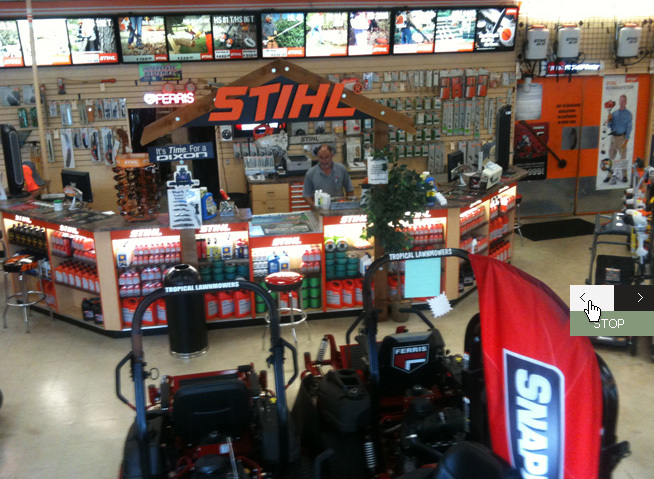 We are the areas largest retailer of Stihl, Toro, Snapper, Kawasaki, Honda, Shindaiwa, Ferris and may other brands. All of our products have been tested to withstand the rigors of frequent use in the most demanding applications. You won't find tougher equipment anywhere, at any price. 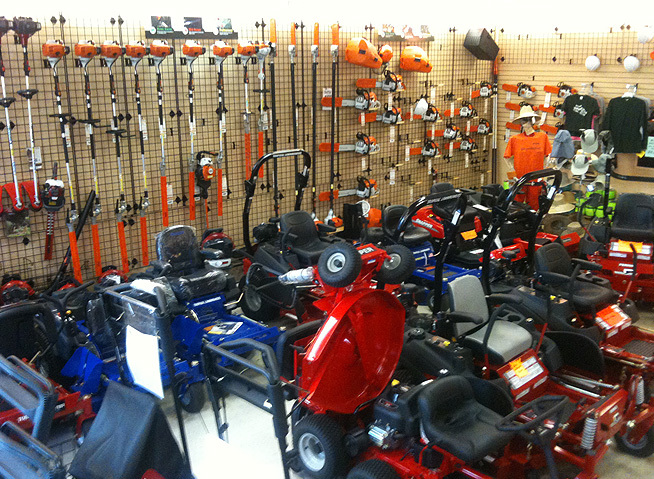 The areas largest selection of gas powered lawn equipment and accessories.High-volume purchasing allows us to offer the you the best prices in town. We have one of the largest parts departments in town. We stock and sell only the finest in outdoor equipment as well as replacement parts for most major brands. 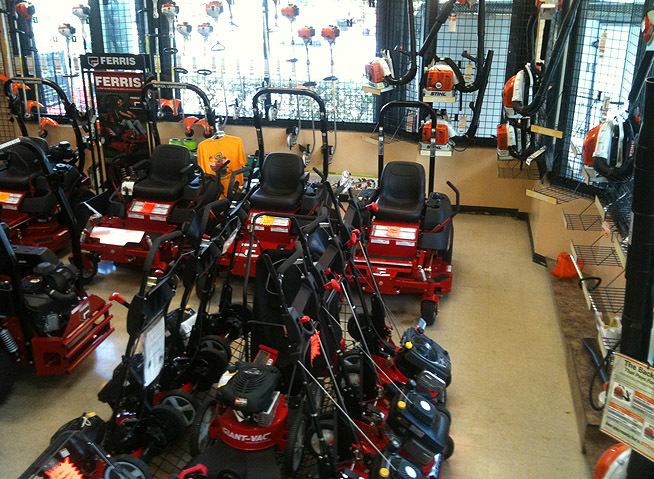 We offer full lines of both residential and commercial equipment. 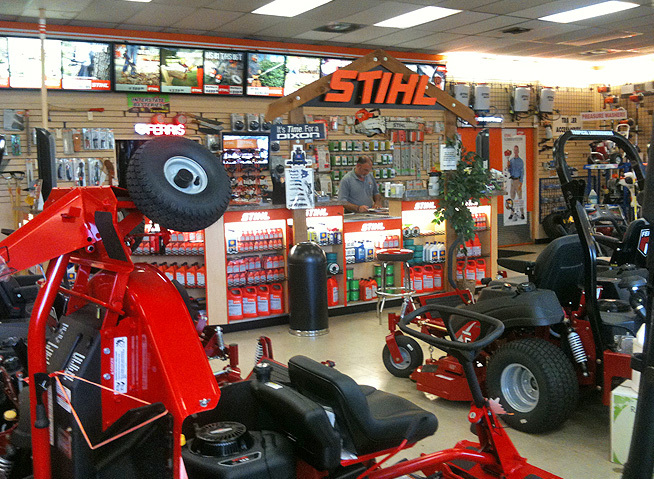 Whether you're a home lawn enthusiast or a professional landscaper, we have what you need. We have shipped tens-of-thousands of orders to more than 50 countries since 1979. Our customers include Government Agencies, Farms, Landscapers, Golf Courses, Nurseries, Parks, Schools, Estate owners, Amusement Parks and thousands of serious home garden enthusiasts. Don't see the make or model you're looking for? Contact us to find out if we can get it. Feel free to call us with questions or to request additional information.